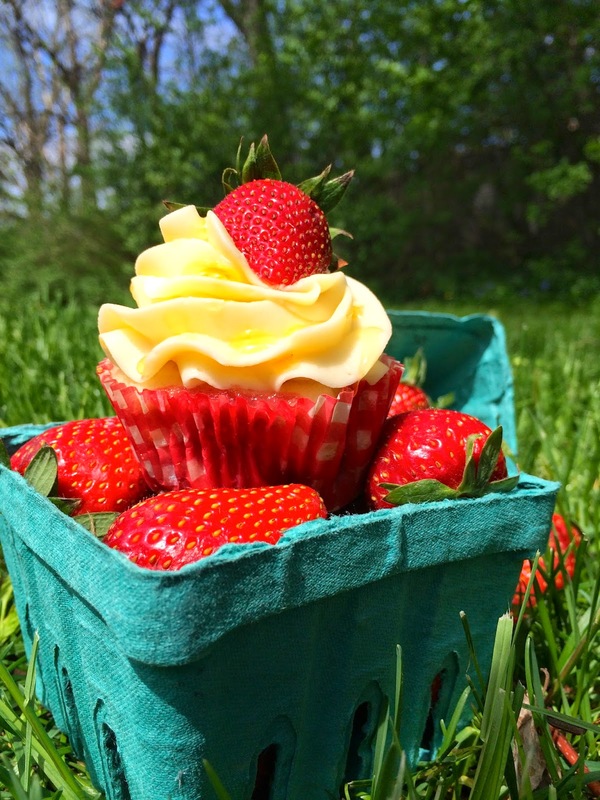 These cupcakes are one of my favourites for summer. 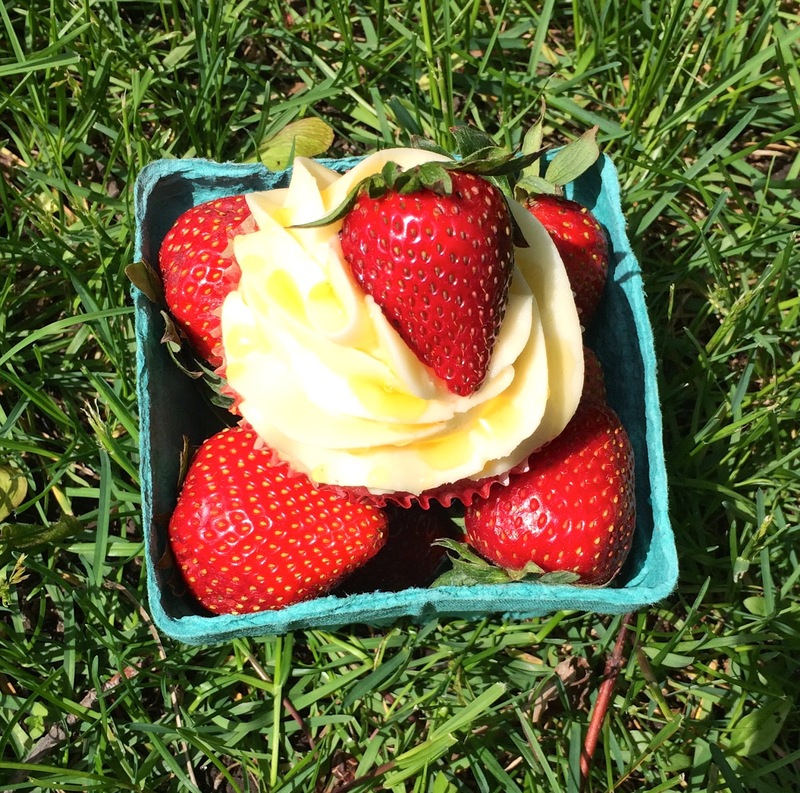 I love the light lemony taste and the surprise of fresh strawberries in the cake. I have posted the recipe here. 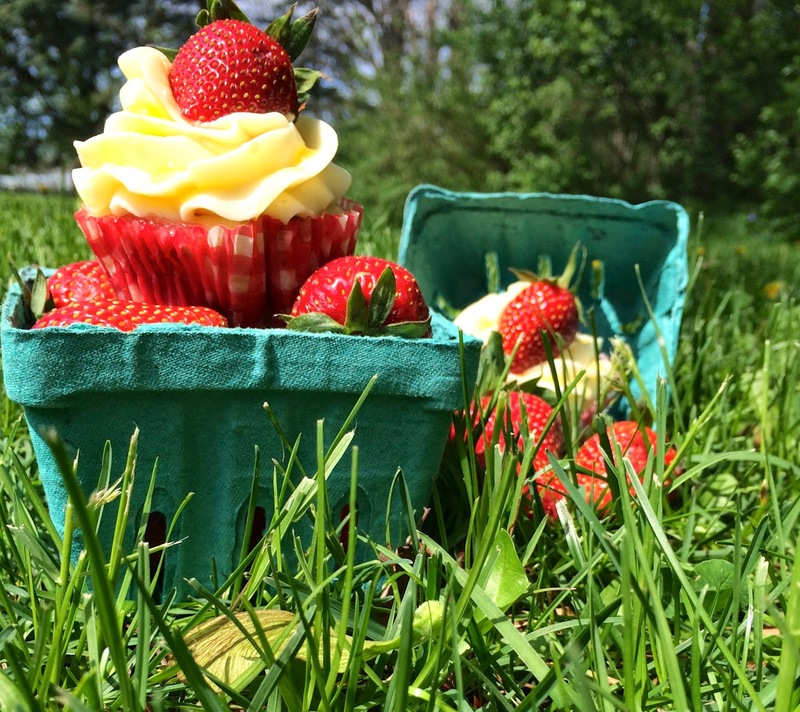 I made these for a BBQ for Victoria Day weekend and I loved the photos and had to share. It turned out to be a gorgeous weekend for the long weekend. They were calling for rain but it never came! I wanted something fresh and bright for the BBQ since the weather was starting to warm up, I wanted a desert that reflected that. Plus the lemon syrup from this recipe did double duty in Sangria (recipe to come)! 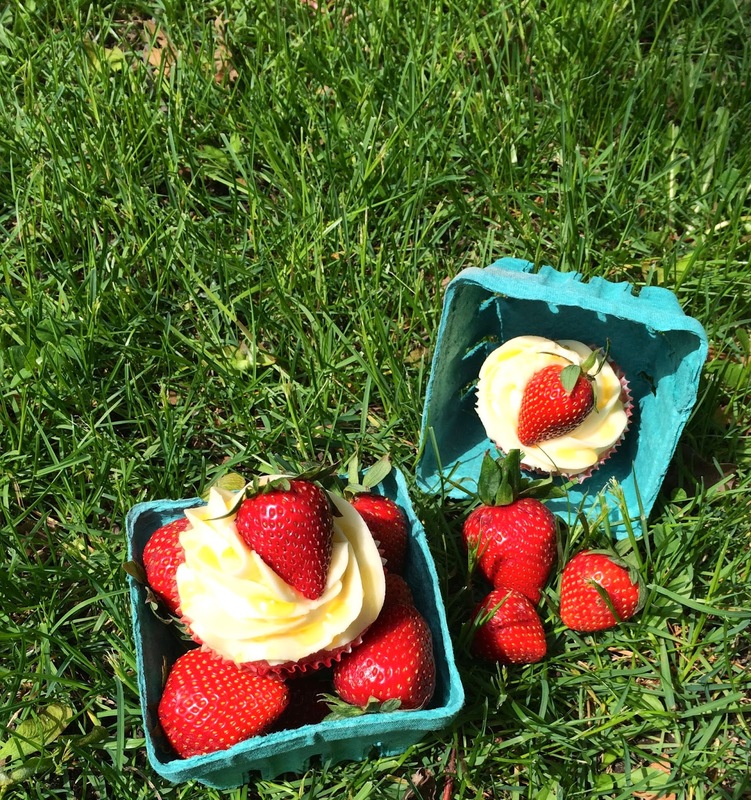 My roommate (and friends) seriously thought I was crazy, bringing my cupcakes (and props) outside to take photos in the grass. I would think they were used to my "cupcake photo shoots" by now but I guess leaving the kitchen was just too much for them to handle. Lol. I love how the photos turned out and am so glad I didn't listen to their teasing. Do your friends bug you for taking blog photos?